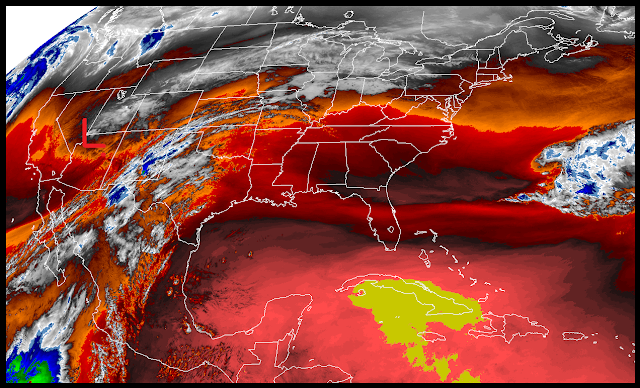 RAMMB/CIRA Lower Level Water Vapor Satellite Image. 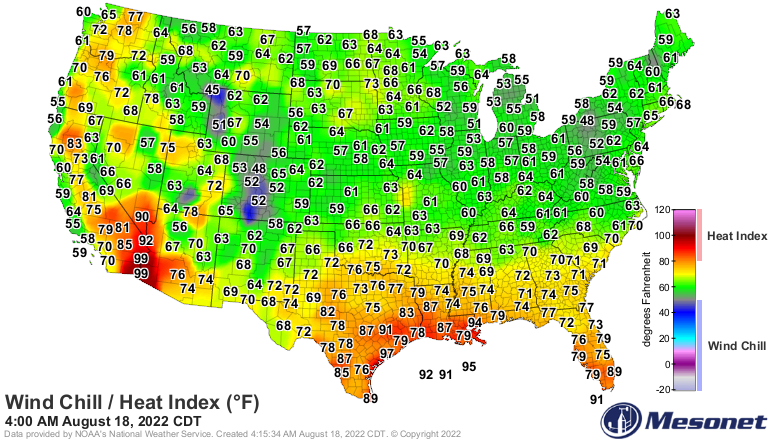 Valid At 11:07 AM MST This Morning. 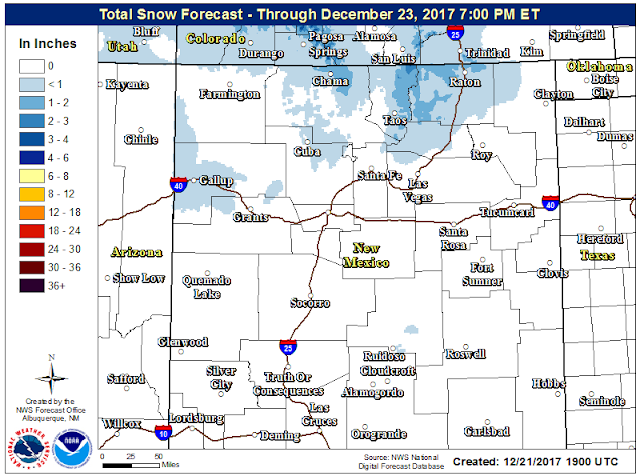 At noon today our next winter storm was located over far northwestern Arizona and continues sinking slowly southward. 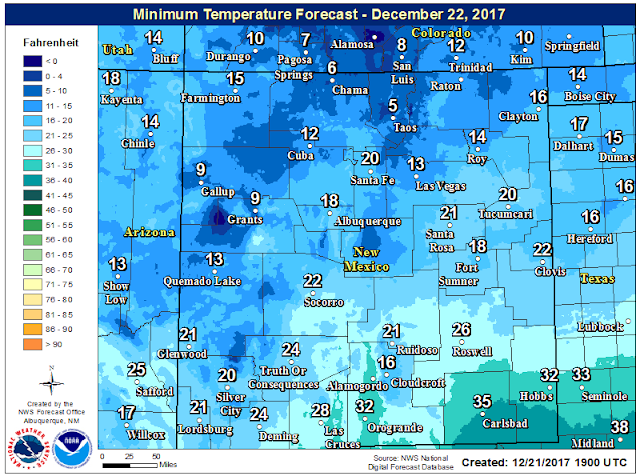 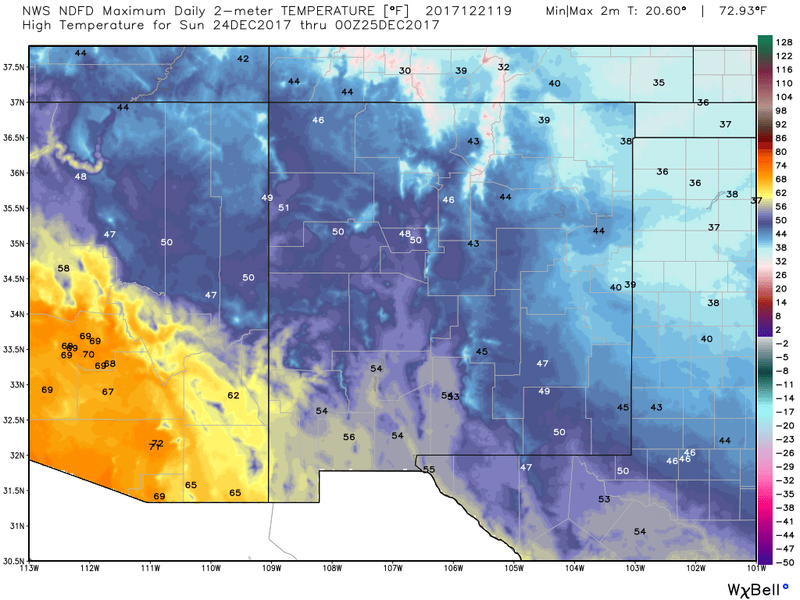 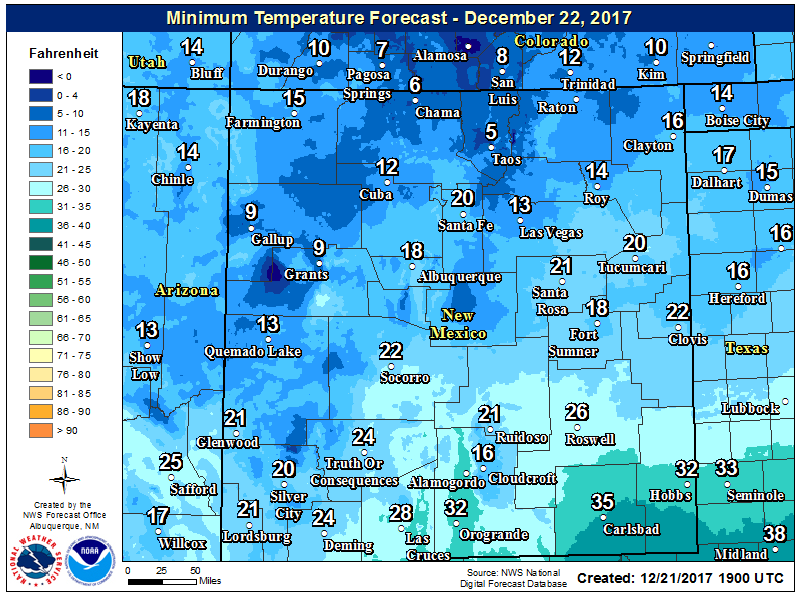 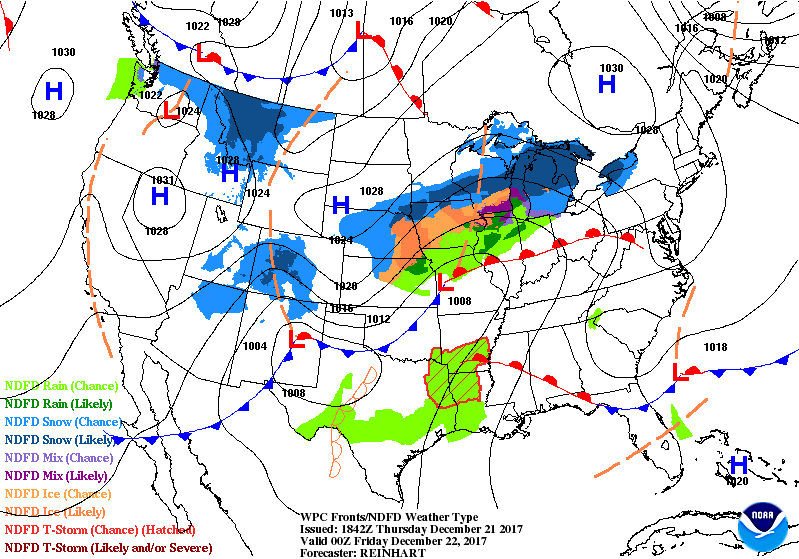 Meanwhile at the surface a Pacific cold front was moving eastward through the western part of New Mexico while a modified arctic cold front was entering northeastern New Mexico headed south. 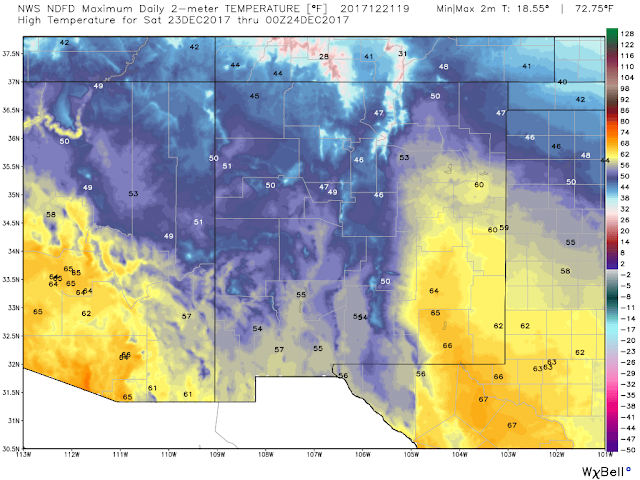 These two cold fronts will merge and sweep eastward and southward out of southeastern New Mexico late tonight into early Friday morning. Temperatures & Wind Chill Values At Noon MST Today. 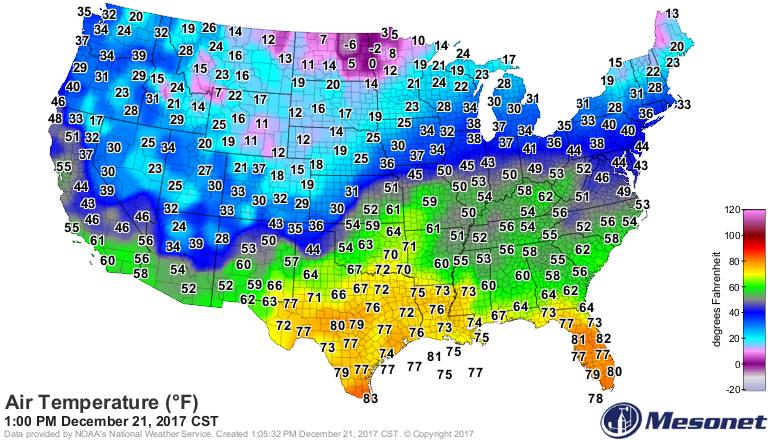 Our long awaited change to colder weather will commence locally tonight with a second cold front invading the Eastern Plains Sunday. 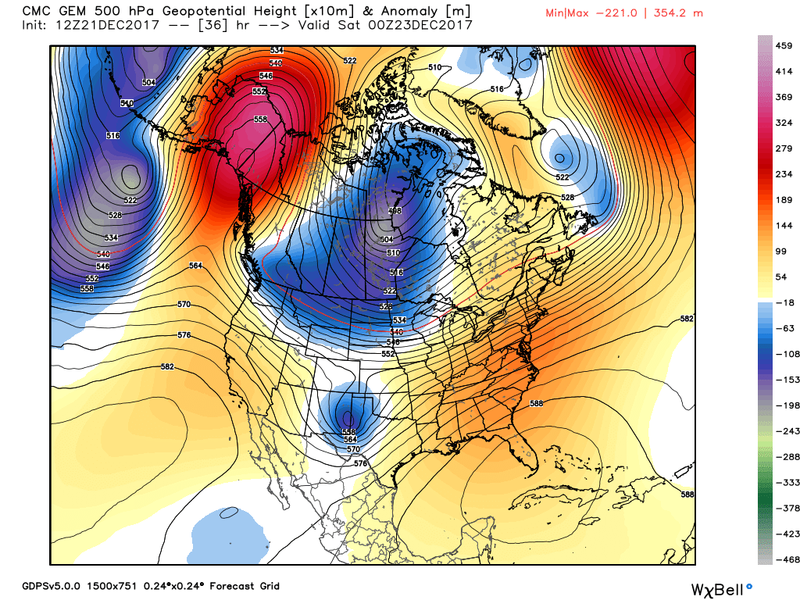 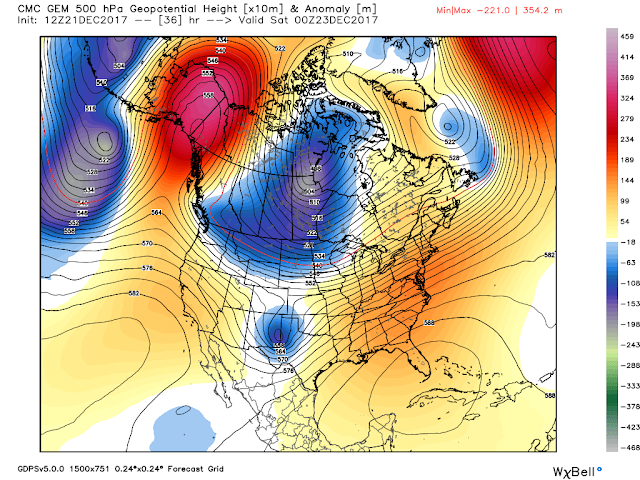 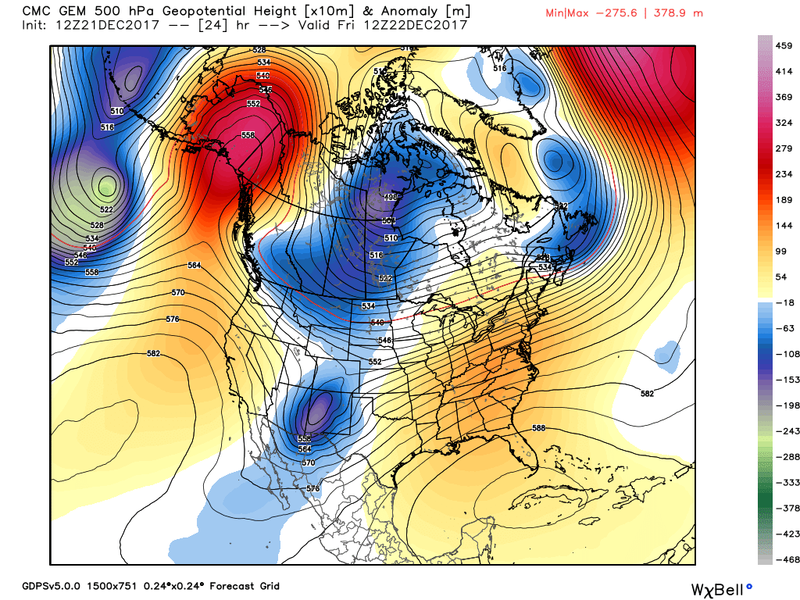 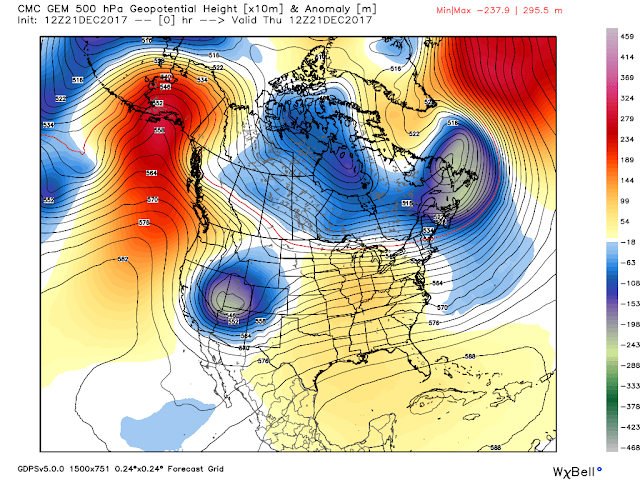 Canadian (GEM) 500 MB Forecasts. Valid At 5 AM MST This Morning. 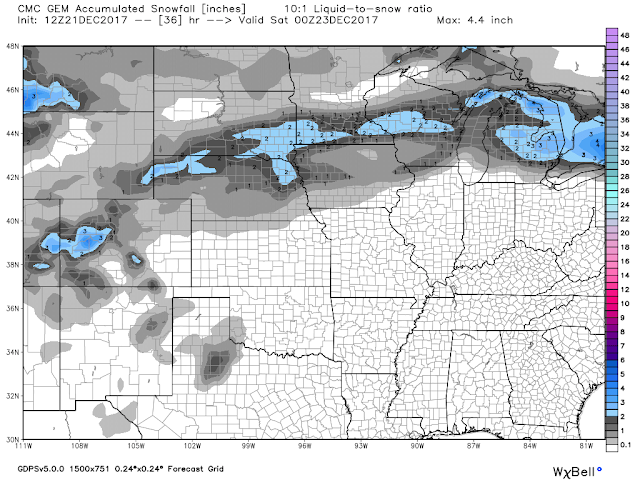 So much for another historic or even decent winter storm for the Christmas Holidays for our local area. 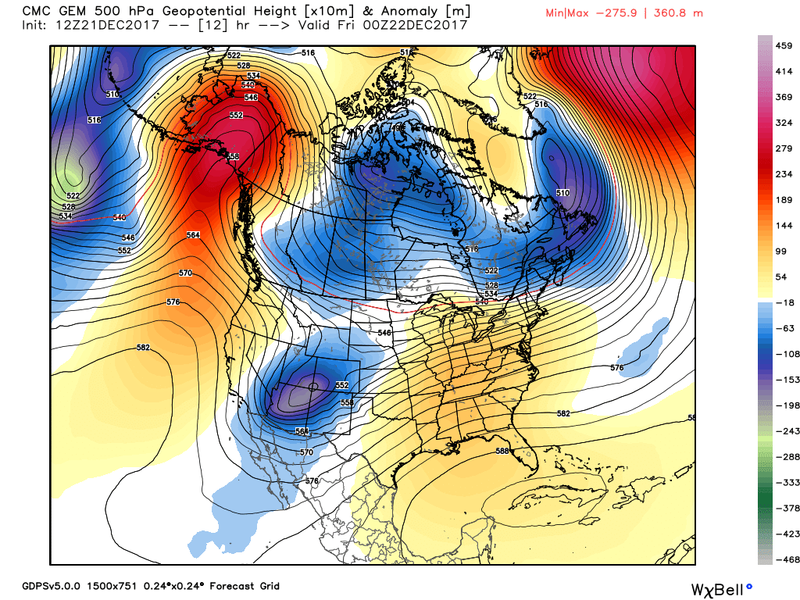 What a wild ride the computer forecast models went on over the past week to ten days. Nothing short of a mess with lots of confusion in their forecasts. 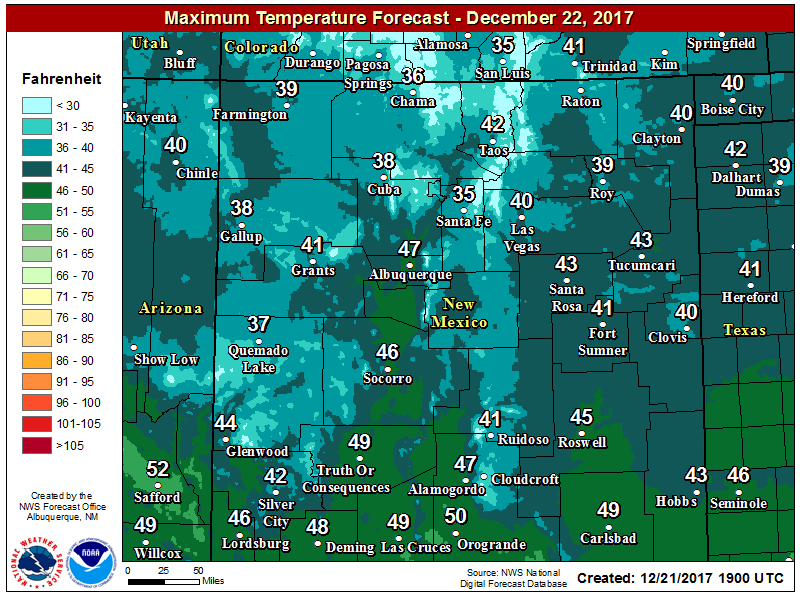 Unless our little storm approaching from northwestern Arizona does something totally unexpected we are out of luck this year as far as a White Christmas goes. Instead of seeing high temperatures below freezing Christmas Eve and Christmas Day as the models had been forecasting at times, we will see highs on Christmas Eve in the 40's to near 50 and on Christmas Day the 60's. 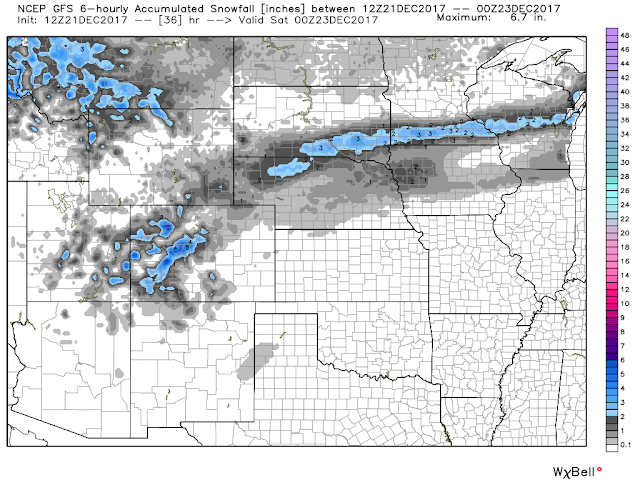 The Canadian model seems to be the most robust with this storm and drags it slowly southeastward across the state this evening into Friday evening. There isn't a lot of moisture associated with it so snowfall totals overall will be light. 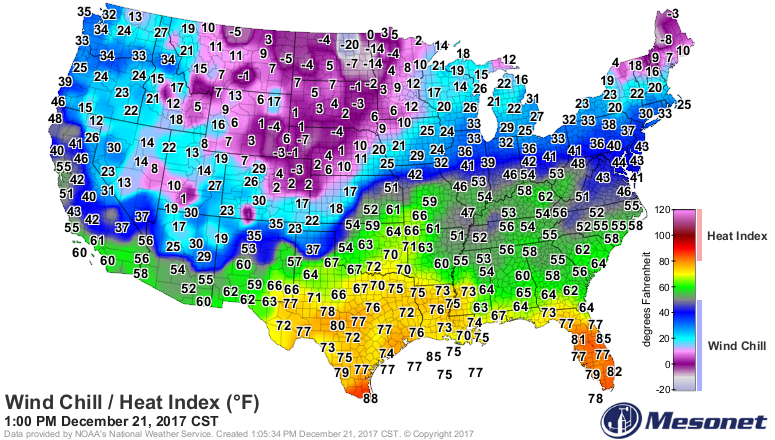 And the modified arctic airmass accompanying it will not be nearly as cold as the models were forecasting over the past week. 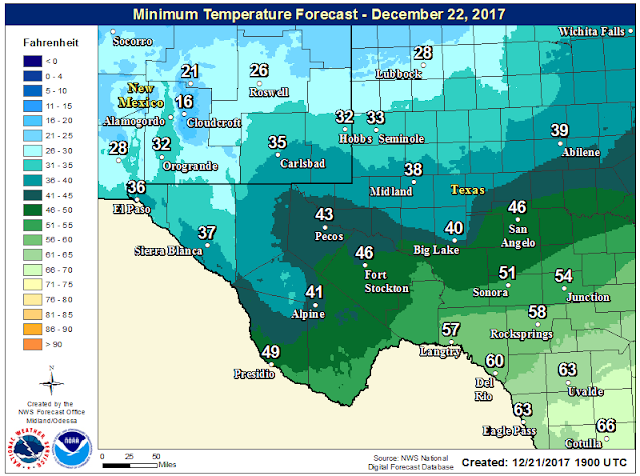 Temperature & Wind Chill Forecasts. 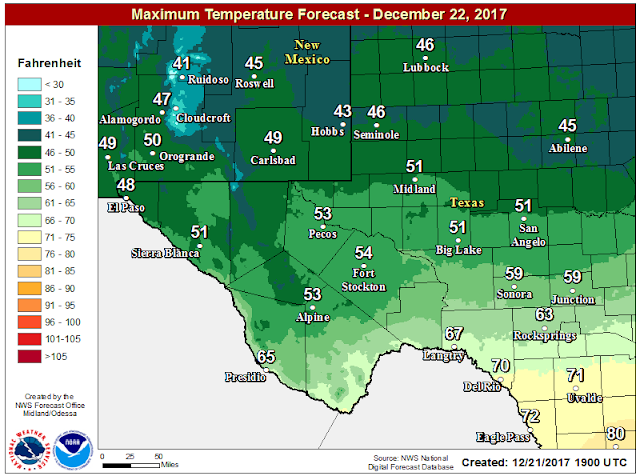 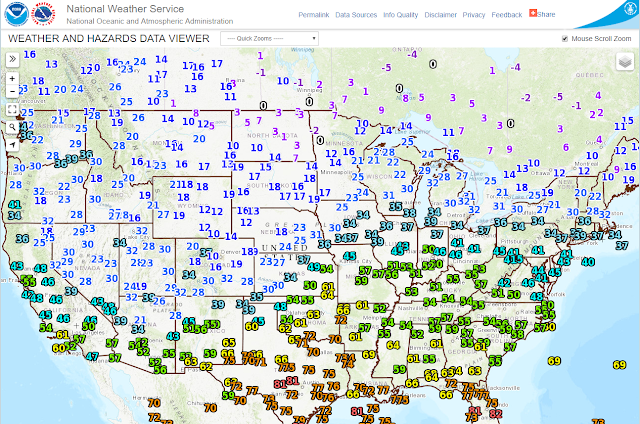 As of 1 PM MST today our local temperatures have climbed up into the low to mid 70's across the Southeastern Plains with the 40's and 50's in the Guadalupe, Sacramento, and Capitan mountains. These readings will drop by some 20 to 30-degrees or so on Friday behind the approaching cold fronts. 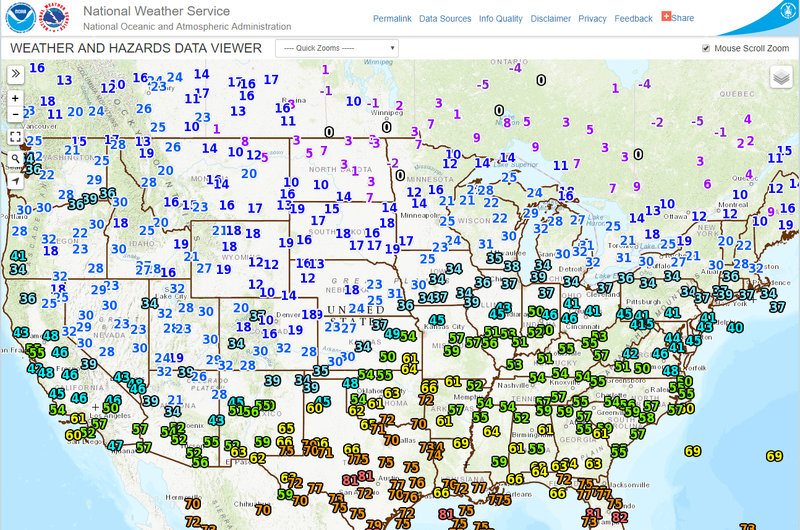 Southwesterly to westerly winds have been gusting up into the 25 to 40 mph range today across the Southeastern Plains. 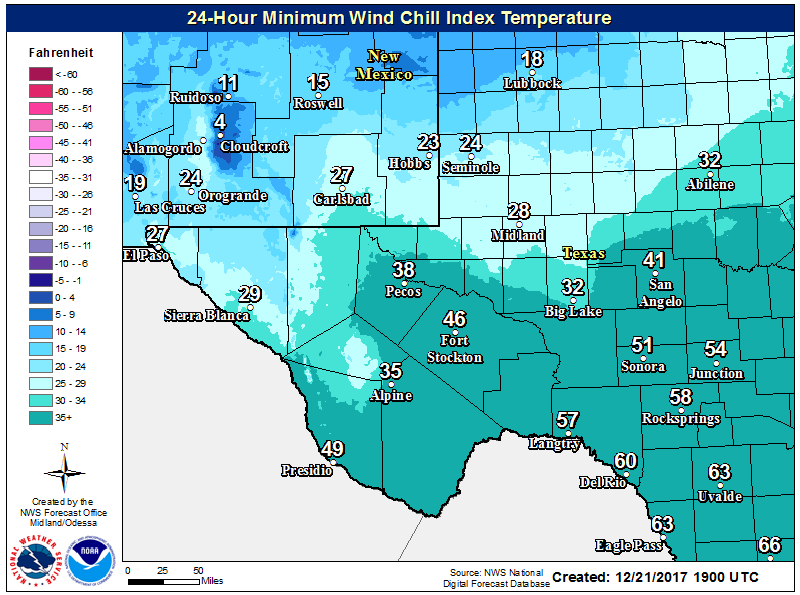 Across the mountains it has been windier with gusts of 68 mph reported at the Bowl north of Guadalupe Pass, 64 mph at the Sierra Blanca Regional Airport, 57 mph at the Carrizozo Airport, 55 mph at the Dunken Raws, and 54 mph in Pine Springs in the Guadalupe Mountains National Park. 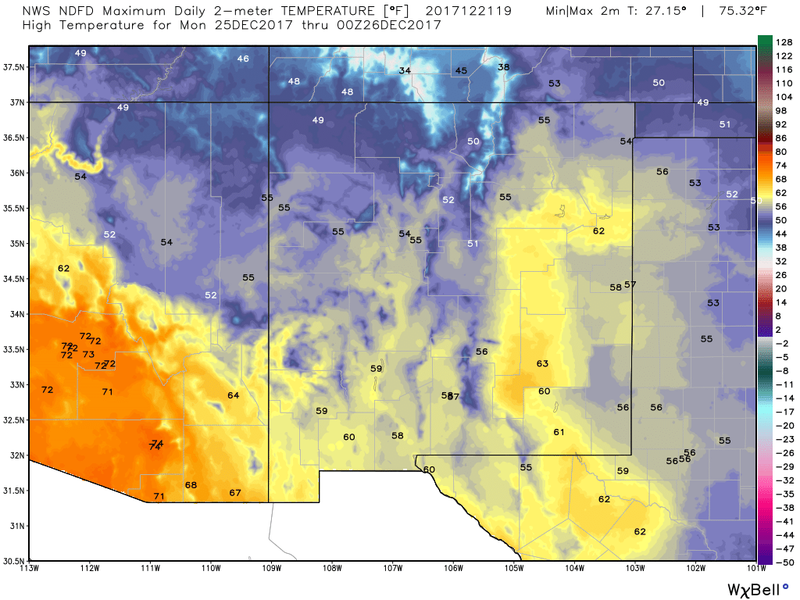 Lows Tonight & Friday Morning. 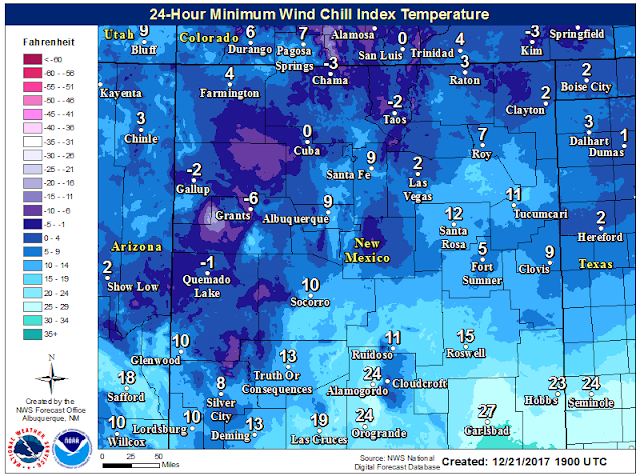 Forecast Wind Chill Values Tonight & Friday Morning. Valid This Afternoon Through 5 PM MST Friday. 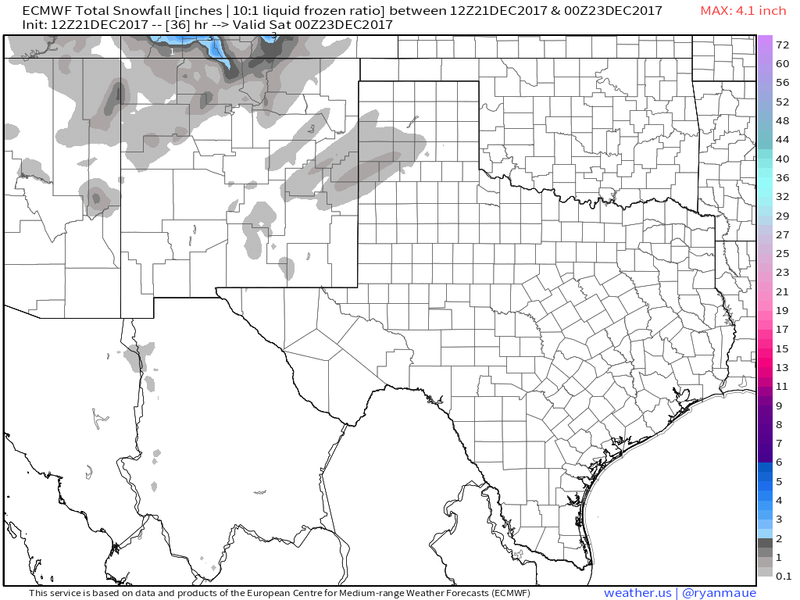 Light snow or mostly snow flurries will be possible mainly across the mountains and Northeastern and Eastern New Mexico as well as parts of West Texas tomorrow morning ending tomorrow afternoon...maybe!